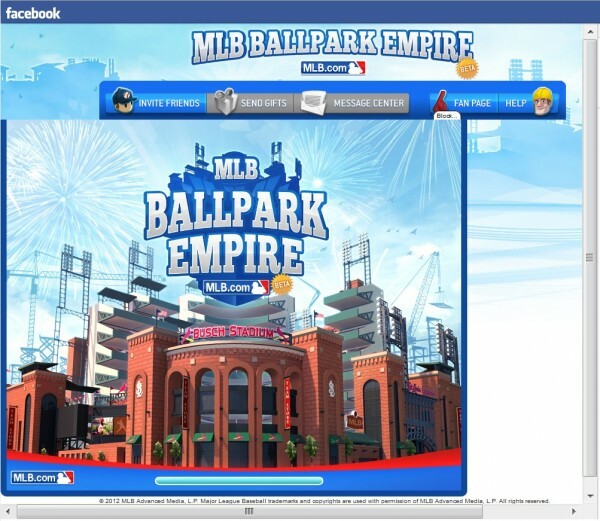 It’s been a quiet off-season for the Reds, so when I noticed the link to MLB’s new Facebook game, I actually gave it a try. 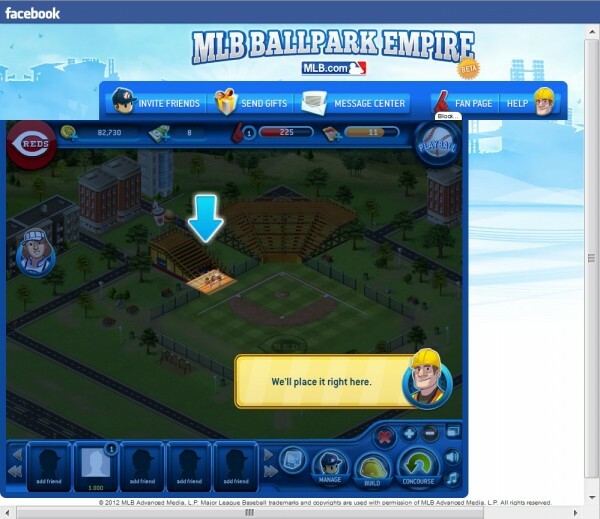 MLB Ballpark Empire puts you into the highly realistic situation of playing baseball in an open lot with your brother, only to have a rich developer walk up and offer you the opportunity to operate a major league team. You install seats, renew player contracts, and set ticket prices. The money you make from playing games is available to you to upgrade your stuff. The baseball games themselves are not the focus of the game; it’s more of a Roller Coaster Tycoon kind of situation. I got as far as installing a hot dog stand before I ran into a bug. The initial tutorial basically tells you exactly what to do through a series of pop-up windows. In this case, the pop up window had just told me to put the hot dog stand in this exact little box. The problem was that no matter where I clicked in that box, the hot dog stand wouldn’t appear there. Perhaps it’s Facebook’s way of objecting to all those nitrates. Besides the UI bug and the overload of pop-ups, my primary complaint about this game would be how often it tries to get me to share stuff to my timeline. If I actually posted that many “accomplishments,” I’d get unfriended faster than that girl from high school who just discovered how to share posts from all the religious zealots she’s friended. None of that is a show-stopper, though, especially for the baseball-starved fan. 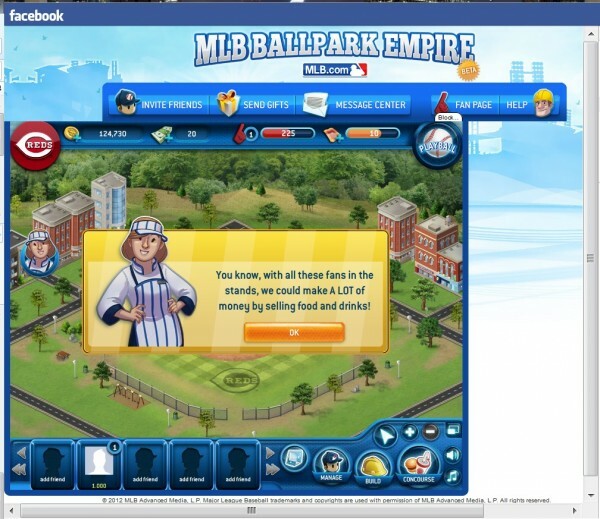 You can try it for yourself by going to the MLB Ballpark Empire app on Facebook.